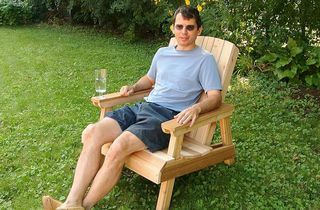 The design of this lawn chair is different from the typical "Adirondack chair". 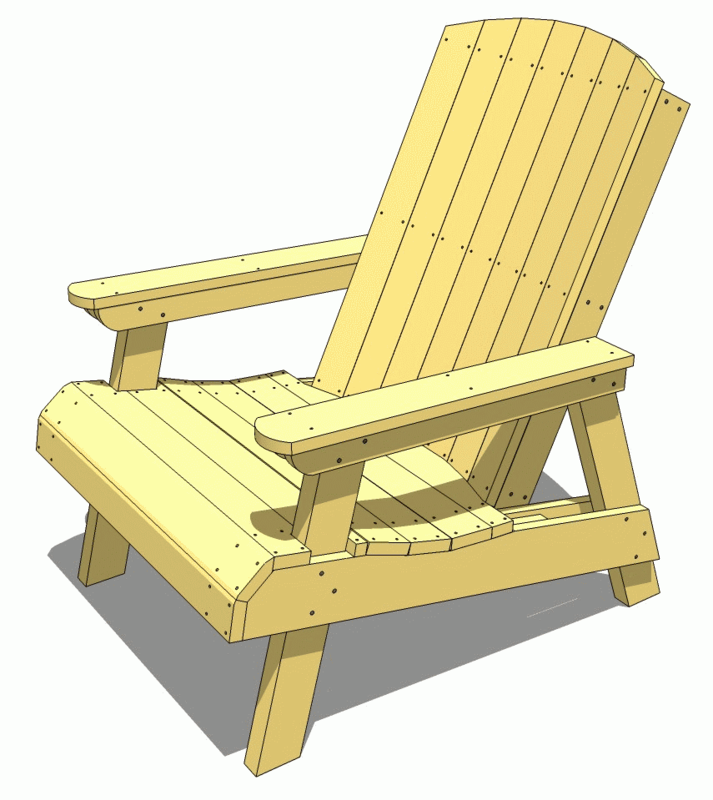 Adirondack chairs are great for reclining on the deck and looking out at the lake, but their steep recline makes them awkward for most other activities. 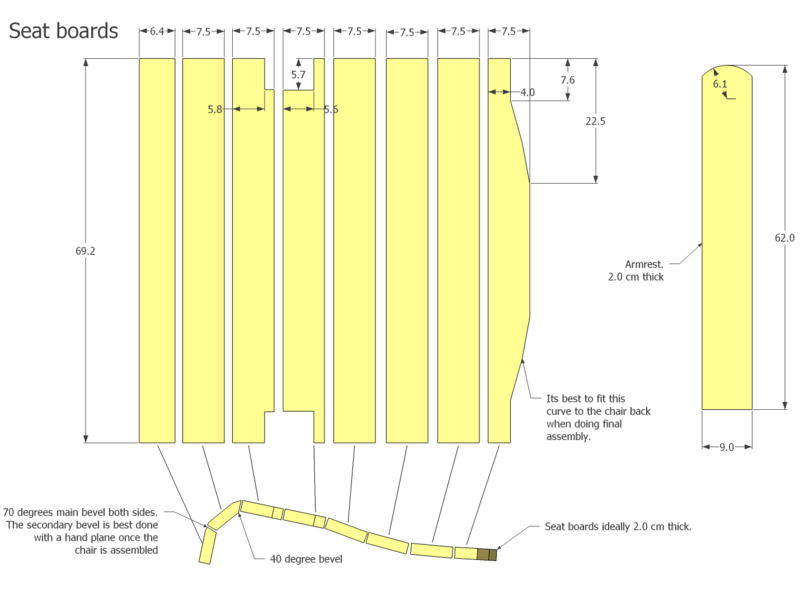 Lawn chairs based on this plan have less of a recline to them, which makes them more suitable for eating or socializing while sitting in the chairs. 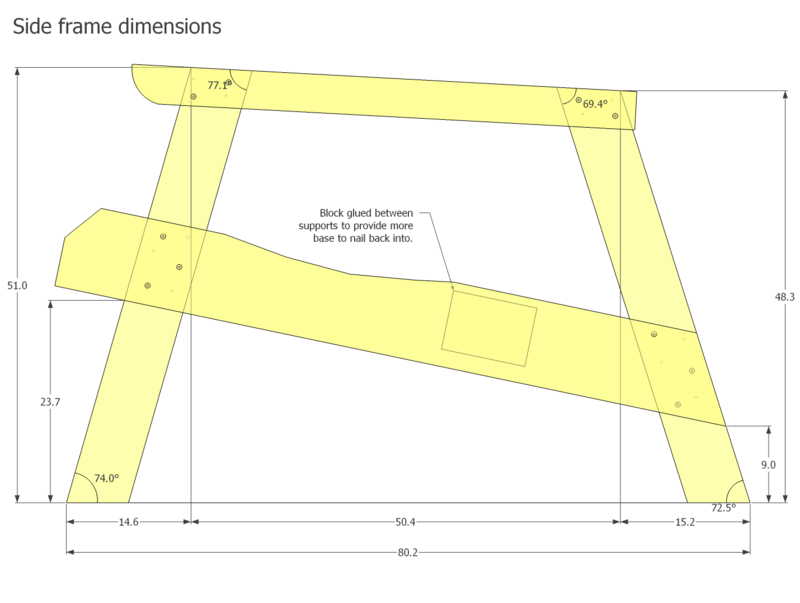 The basic structure of the lawn chair is the side frames. 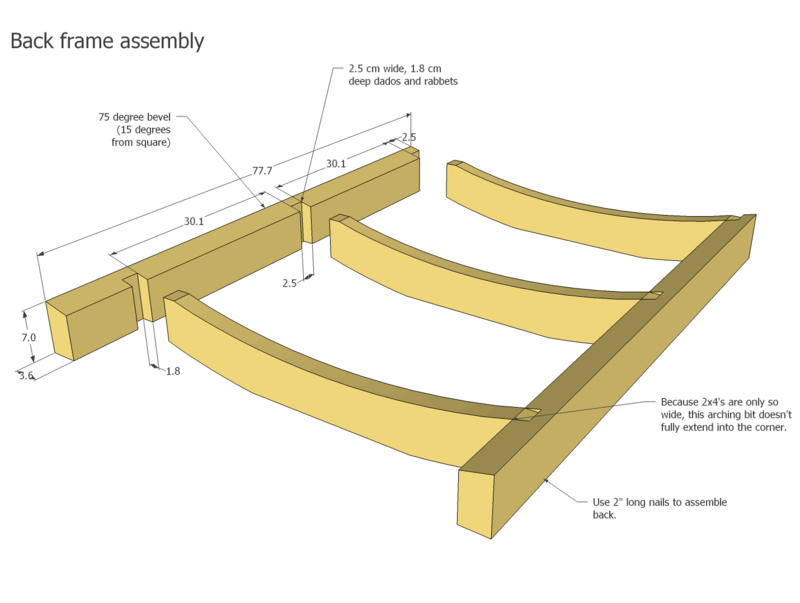 The side frames are assembled first. 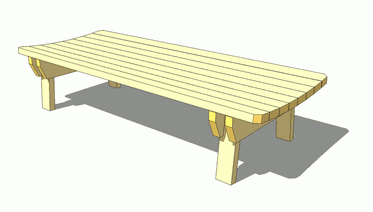 The legs are the only parts that touch the ground, and should be made out of cedar. The back has a slight arch to it to make the chair more comfortable to sit on. 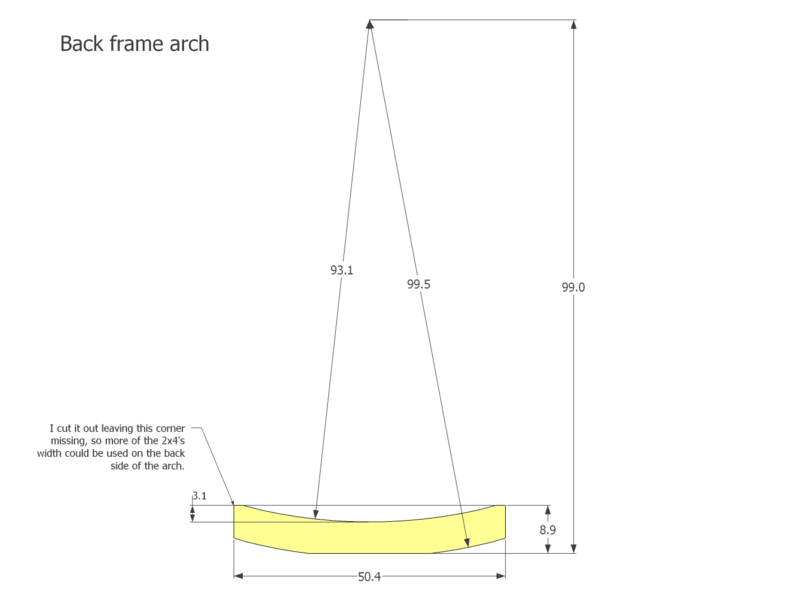 Its a sraightforward cylindrical curve. The top of the boards form a slight arch for decorative purposes. 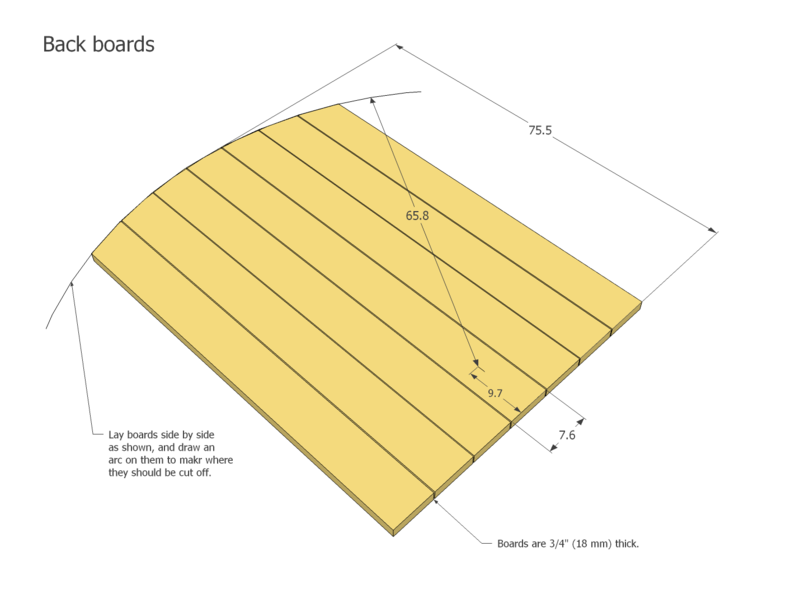 The best way to measure the length and angle to cut the various boards is to put them all down on a workbench and mark an arc on them with a set of trammel points, or just a pencil and a string. 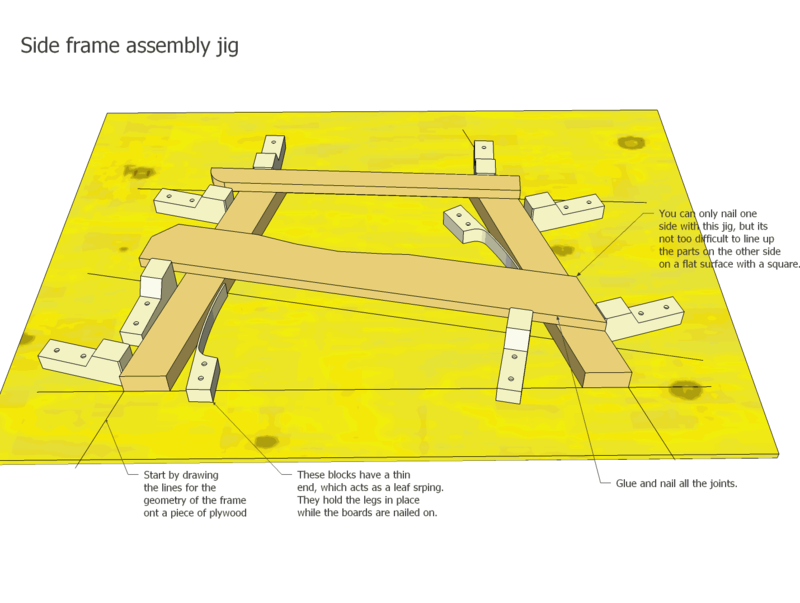 If you are building a lot of lawn chairs, it really speeds things up to build a jig to help hold the pieces of the side frame in place when nailing them together. Before nailing on the back for the first chair you build, it's a good idea to just secure it with some clamps and sit in the chair. This will give you the opportunity to adjust the final seat back position before you nail it all together. 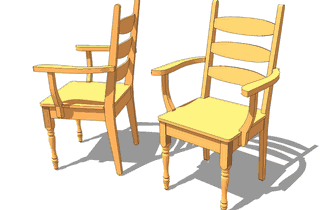 These chairs have a few more parts to them than an Adirondack chair does. 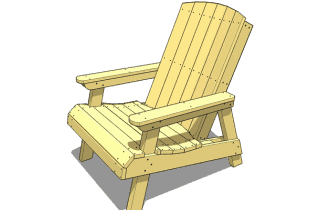 Geometrically, however they are a bit easier, because they lack the many compound angles that Adirondack chairs have. 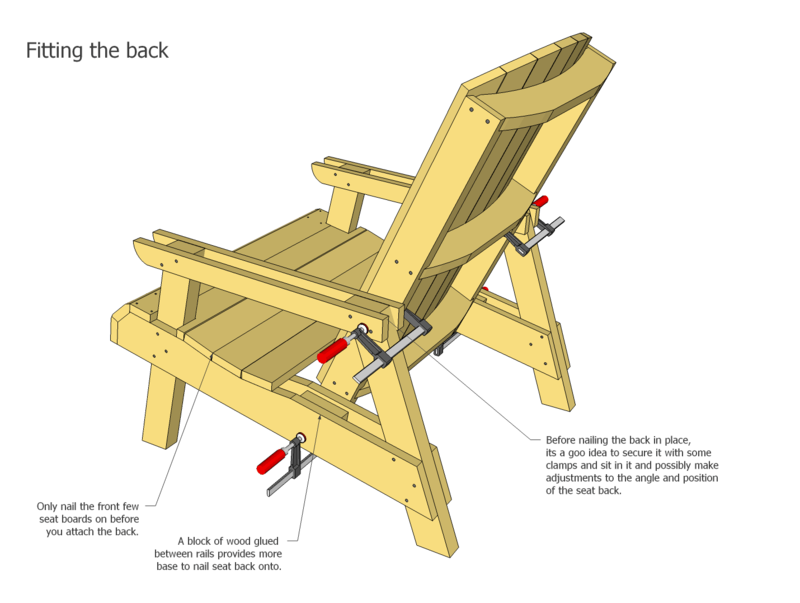 You can also download a SketchUp model of this lawn chair. 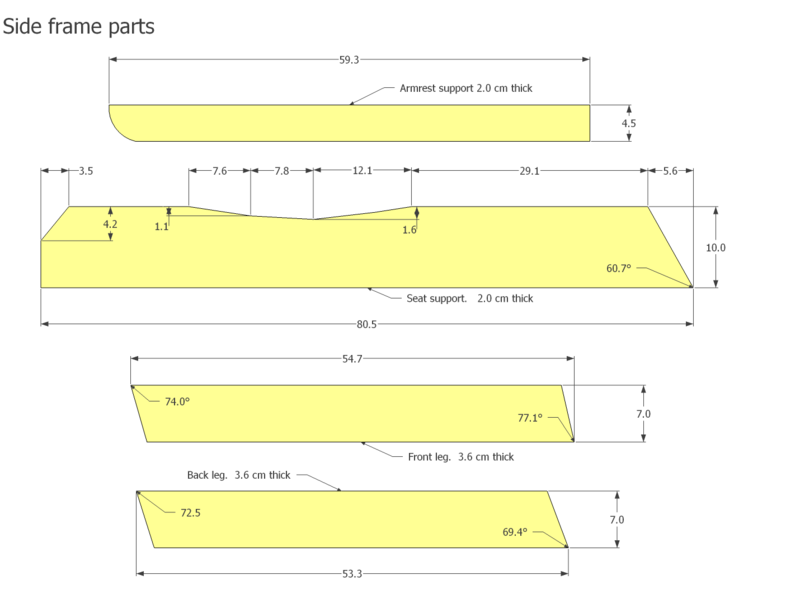 You will need the free Google SketchUp to open the SketchUp model.